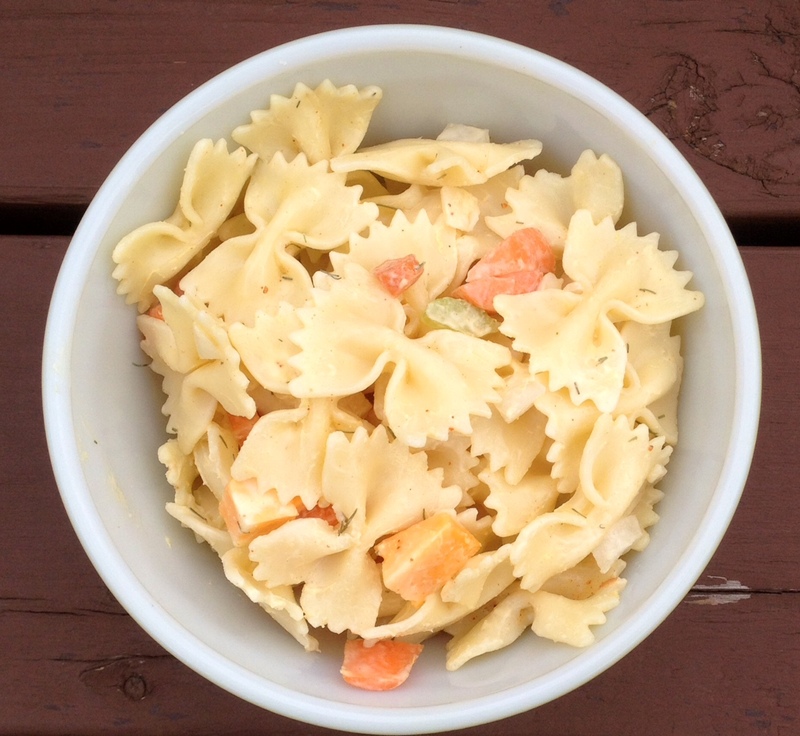 Pasta salad is total comfort food to me and I think it’s the perfect addition to any summer meal. I love any variety but I always end making one of two versions, one of which is this guy. This is a super classic, no frills pasta salad, but it’s always received well. I don’t like my pasta salad dripping in dressing and this one has the perfect amount. I love how creamy and simple the sauce is but a little zip from the red wine vinegar and dill keeps it exciting. I picked bowties because they’re my favorite, but use any noodle you like! Sometimes I grate the carrot and cheese or add a couple spoonfuls of green relish to the sauce, but this is as basic as it gets. Keeping it simple ensures you have extra time for all your favorite summer time activities: swimming, reading in the sun, barbecuing and drinking lots of sangria. Unless you don’t drink sangria. In that case, not to worry. I’ll have your share. Put the pasta on to boil in a large pot of salted water. While the pasta cooks, stir together the mayo, mustard, red wine vinegar, seasoning salt and dill in a large bowl. Once the pasta is cooked al dente, drain it and run cold water over it until it is cool to the touch. This stops it from cooking further. Pour the cold cooked pasta into the sauce bowl and stir well to coat. Add the chopped carrot, celery, onion and cheese and toss again. Cover bowl and refrigerate at least two hours or overnight.